Bringing back third-year Running Back Darius Jackson as their former sixth round draft pick from 2016, the Dallas Cowboys have their entire draft class of two years ago back on the roster. For how long members of this nine-pick class will remain with America's Team remains to be seen, but now is as good a time as ever to reevaluate where things stand with these players. Experiencing the playoffs as rookies only to miss out last season, this Cowboys draft haul has quickly become the foundation of a roster reversing the aging process every year. 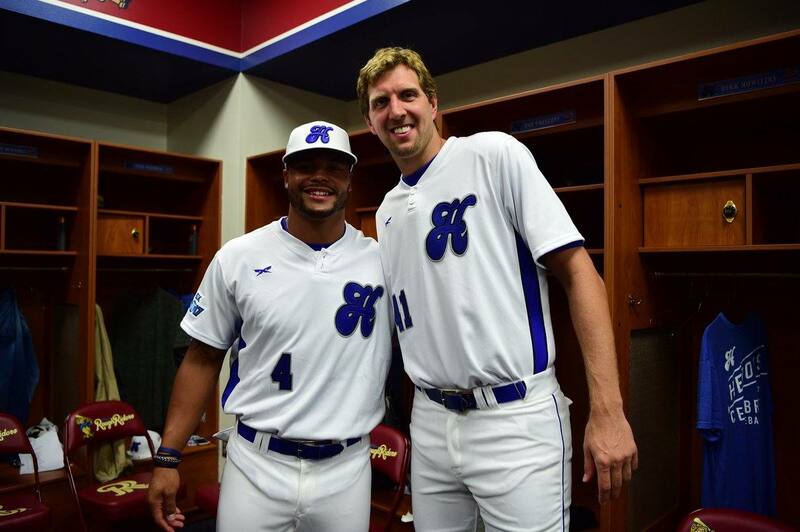 Dak and Zeke. Zeke and Dak. However you want to pair the starting quarterback and running back of the Cowboys together, the 2016 Draft will always be remembered as one that brought this franchise a premier running back - maximizing the talent of their offensive line - and improbable fourth-round QB. It wasn't until just before this draft that Ohio State's elite RB prospect was linked to the Cowboys. As soon as he was, Elliott and his star potential with the star on his head caused plenty of excitement. Elliott's Cowboys career has also caused plenty of controversy, as the 2016 league rushing leader was eventually forced to serve a six game domestic violence suspension a year ago. Not going down without a fight for his innocence and public perception, Elliott's case dragged on and brought everything around him and his team down. It wasn't only Elliott's absence that Dak Prescott was unable to overcome, but if the Cowboys are going to return to the playoffs in 2018 they'll need nothing short of the 16 game performance Elliott produced as a rookie. In doing so, Elliott can firmly secure his status as the blue chip starter the Cowboys absolutely needed their fourth overall pick to be when turning the disaster of 2015 into a running back. Of course, it was a slew of Tony Romo injuries that derailed the Cowboys in 2015. Destined for a similar faith in 2016, Dak Prescott was able to change the direction of this franchise forever. The amount of change the Cowboys have gone through in their roster and coaching staff since being left with no choice but to start Prescott as a rookie -- later keeping a healthy Romo behind the hot-handed Prescott as he completed a 13-3 campaign -- is truly stunning. While outside the Cowboys building, the perception of Prescott entering year three is that he must prove he deserves everything he's been given, this team could not be more committed to his skills. 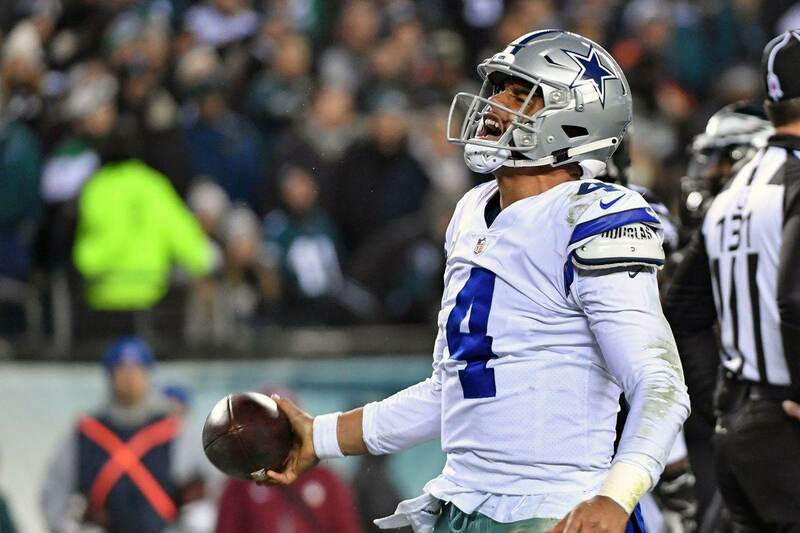 Stepping up as a vocal leader of the Cowboys while preparing to silence any critics behind a healthy offensive line, Prescott is as solid of a starting quarterback as the Cowboys could have hoped to ever get in the 2016 Draft. They did so with the 135th overall pick. Only UDFA Cooper Rush and rookie Mike White sit behind Prescott, presenting no threat to his starting job. As mentioned, the Cowboys 2016 draft class was immediately tabbed as a historically good crop of talent for Dallas. To be on the right side of history, you need good fortune along the way, and the Cowboys are getting that with their 34th overall pick Jaylon Smith. Smith's story, as deserved, is well understood. If healthy entering the draft, the Cowboys would have had to choose between Smith and Zeke Elliott at fourth overall. Given both players' college production and pedigree, this wouldn't have been an easy choice. Fortunate enough to land both players, Smith was a heartwarming but controversial pick in the second round for the Cowboys. With nobody holding him to higher expectations than Smith himself, the Cowboys stood by the Notre Dame linebacker every step of the way prior to his miraculous week one debut. Putting Jaylon Smith on the field as a starter in the NFL was a medical miracle for the Cowboys, but it takes more than this to exceed at middle linebacker. Only getting stronger as his rookie season came to an emotional end, Smith is currently practicing without his foot brace. Fewer limitations will only give Smith that much more confidence to handle a larger role in Rod Marinelli's defense, with passing game coordinator Kris Richard also envisioning Smith lining up all over the field. Due to the unproven nature of their LB depth, the Cowboys entered this year's draft compelled to address the position at 19th overall. 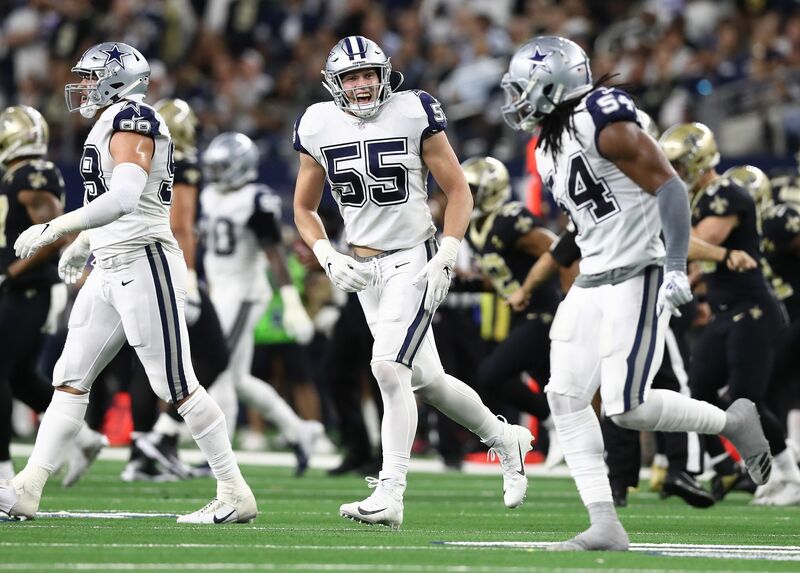 Drafting Leighton Vander Esch to coexist with Sean Lee and Jaylon Smith, as opposed to replacing either starter, the Cowboys now find themselves with three starting linebackers capable of lining up at multiple positions and in varying sets. The last player I'd put in this category is Safety Kavon Frazier. Mostly a special teams contributor for the Cowboys thus far, Frazier has flashed as a hard-hitting safety with a nose for the football in limited snaps. With everything in the Cowboys young secondary tying back to Kris Richard's looming impact, Frazier can certainly earn a larger role on defense. Still running around in shorts at The Star for OTAs, the Cowboys have rolled with two rangy safeties in Jeff Heath and Xavier Woods for the most part so far. An unproven position on the roster though, Kavon Frazier will get his chance, particularly when the pads come on. Drafting a pair of defensive linemen in 2016, the Cowboys DL looks ready for a big year - so long as all their cogs in Marinelli's machine stay in place. Two players that have battled through injuries are Defensive End Charles Tapper and Defensive Tackle Maliek Collins. Where Collins has yet to miss a regular season game, handling the challenge of playing wherever the Cowboys need him on the interior, Tapper has just two career games under his belt. Already setback again with a concussion, the odds are increasing by the day in Dallas that Tapper's career highlight will be sacking Eli Manning in week one of 2017. The potential to play as a speed rusher at right end has been forgotten about not only due to Tapper's unavailability, but the continuing resources the Cowboys have put into the position with Taco Charlton and Dorance Armstrong. The final number crunch on the Cowboys defensive line may also include a reinstated Randy Gregory. In working out who will be left off the roster at this position, it is very possible that Tapper becomes an unfortunate casualty from this talented 2016 draft. The only reason Maliek Collins is not firmly listed as a 'developing starter' here is because of the Cowboys inability to play him to his strengths consistently. Bouncing back from the same foot injury that he's again dealing with entering 2018, Collins was a force to be reckoned with at the all-important 3T spot as a rookie. As we sit here today, the Cowboys are even more uncertain at DT than they were in 2016, meaning Collins' role will remain fluid. David Irving, the starting 3T that forced a technique change for Collins, has still yet to report to OTAs for Dallas. Regardless of where Collins is playing, this is a valuable player that the Cowboys drafted for his traits at 67th overall. If ever given the chance to focus on being an interior pass rusher again, Collins can easily outplay this draft stock and boost the level of play for the entire Cowboys defense. Rounding out our discussion of the Cowboys 2016 draft class is Cornerback Anthony Brown, Tight End Rico Gathers, and Running Back Darius Jackson. The only thing all three players share in common right now is that it's nearly impossible to project any real contributions for them in 2018. Doing his absolute best to prove everything the Cowboys touched in 2016's draft turned to gold, Anthony Brown looked like a sixth-round steal that would be here to stay. Turning over nearly their entire secondary around Brown before last season, the Cowboys saw Brown regress as an outside starter while rookies Chidobe Awuzie and Jourdan Lewis stepped in brilliantly. Now, Byron Jones also finds himself down at CB this season, forcing either Brown or Lewis into the slot. From this slot position, Brown was able to salvage portions of his 2017 season, playing with the quickness needed to mirror smaller receivers. Doing much of the same for 16 games as a rookie, Jourdan Lewis has a chance to be one of the best inside CBs in the league, relegating Brown to a depth option. Kris Richard will surely embrace the opportunity to continue working with Brown. If he's able to find any resemblance of the Purdue product's rookie form, Anthony Brown will be much more than a fringe player -- although I've already discussed the potential for Brown to miss the cut on this Dallas roster entirely. Did I mention the Cowboys found a pot of gold at the end of their rainbow (shadowed in the clouds of a 4-12 season) in the 2016 draft? This jackpot would have been enviously successful for the Cowboys if they were able to convert Baylor basketball star Rico Gathers into a capable NFL tight end. Looking the part of a mismatch target in the passing game last preseason, Gathers had some in Cowboys Nation crowning him as the heir to the now-retired Jason Witten. Life comes at you fast in the NFL though (see the timeline on Witten's very retirement), and Gathers is anything but ready to see real playing time in Dallas. To say Gathers' 2017 season was taken out from under him due to injury is only fair to an extent. The third-year TE recently admitted to being healthy earlier than ever perceived, with the Cowboys staff choosing to keep him off the active roster. Waiting until the fourth round to address their depth at TE in this year's draft, Dalton Schultz stands in the way of Rico Gathers along with Blake Jarwin and Geoff Swaim. From top to bottom this is far from the most proven group, and Gathers unfortunately finds himself near the bottom of a lackluster depth chart. That brings us to the newest addition to the Cowboys backfield, Darius Jackson. It would have been fascinating to see Jackson play elsewhere before returning to Dallas, as Cowboys faithful have always seen a ton of potential in the Eastern Michigan product. Injured through his only season in Cleveland though, Jackson joins the Cowboys for a second stint as if he never left. Still in his way is Ezekiel Elliott and Rod Smith. These two backs alone may be enough to keep Jackson off the roster, projecting similarly to Smith in the way he brings a change of pace to the Cowboys running game. Jackson's addition back to the Cowboys running backs room tells me that the team is still deciding what traits they value the most behind their workhorse in Elliott. Also adding Tavon Austin and Bo Scarbrough to this room, it's going to be difficult for Jackson to stand out. Enough big plays in the preseason would surely change this perception for Darius though, who is at the very least a capable back to give reps to leading up to the 2018 regular season. The Cowboys 2016 draft still has the potential to produce franchise players at critical positions. Already finding their quarterback and running back, Jaylon Smith is on his way to becoming a stud at linebacker. The same can hopefully be said about Maliek Collins moving forward, giving the Cowboys two players on both sides of the ball to feel good about as third-year contributors. 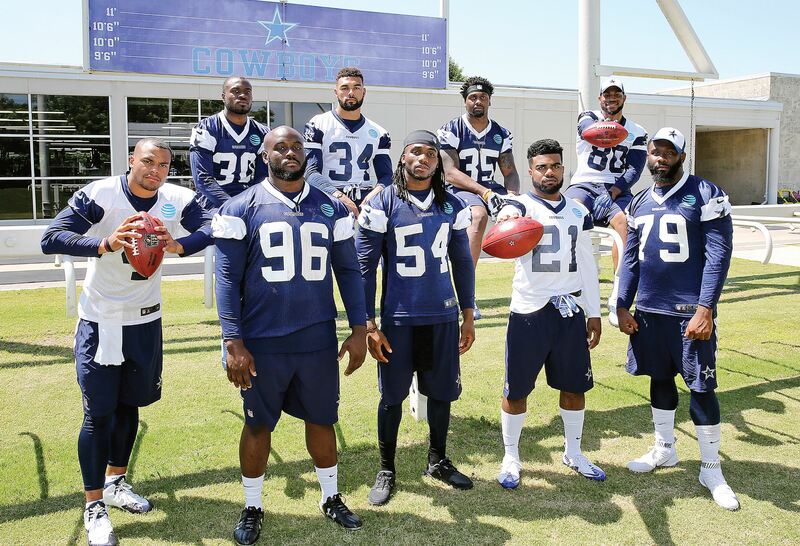 Add in anything from Charles Tapper, Anthony Brown, Kavon Frazier, Rico Gathers, or Darius Jackson, and any future success from the Cowboys will be forever linked to this draft class. Welcome back, Darius Jackson. You bring good memories. Tell us what you think about "Reevaluating Cowboys 2016 Draft Class with Darius Jackson Re-Signed" in the comments below. You can also email me at Sean.Martin@InsideTheStar.com, or Tweet to me at @SeanMartinNFL!